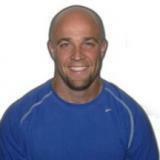 So you want to be a Strength Coach? It’s that time of year again at DSC. Another long, grinding summer of action packed, electrically charged energy in the weight room. A time for PR’s, sweat equity, discipline, dedication and a one-day better mentality! It’s also time for a brand new group of interns to begin their quest in the strength and conditioning field in hopes of gaining valuable hands-on experience and one day becoming a practitioner. This will be the seventh year since the inception of our internship program at DSC. The truth is, all interns want to learn, but what they need the most has nothing to do with strength and conditioning methodologies, exercise science, or set/rep schemes, and everything to do with people skills and accountability. The sport of hockey is extremely demanding. Players reaching speeds of up to 30mph is the equivalent of hundreds of small car crashes occurring throughout the course of a 7-8 month season. Physiological, psychological and mechanical stressors mount during this time. 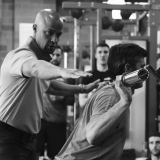 It is during this period that the strength and conditioning practitioner faces a major challenge; the law of competing demands; In other words, how to balance stress so that players performs optimally when it matters most on the ice. This job changes during the off-season when the major stressors of competition are removed. The off-season, although often limited in time, is paramount in terms of physical preparation and the application of additional stressors that may not be appropriate during the period of intense competition. I wish I knew fifteen years ago what I know today. Not just pertaining to my craft as a Strength Coach, but the valuable life lessons I learned along the way during my career as an athlete! The importance of realizing inner potential, the necessity of utilizing all resources to their utmost capacity and that “intangibles” are just as important as physical attributes in the journey to success. In fact, the more I look into the process, the more I envision one big assembly line producing specialty vehicles. The assembly workers (Coaches) ensure that all parts are strategically placed in order for the car (Athlete) to run effectively and efficiently with minimal pit stops. Each car is different so each worker (Coach) has an important job in the final construction. Care, concern, and attention to detail are just a few qualities of a good line worker (Coach). Nobody wants a car that constantly breaks down, is missing an engine or won’t start.